Each 2.5-Inch Pot contains 1 plant. Flowers that are a bold scarlet red with just a hint of orange. Its leaves are deeply serrated, bearing a red outline that only serves to highlight the exquisite double blossoms. 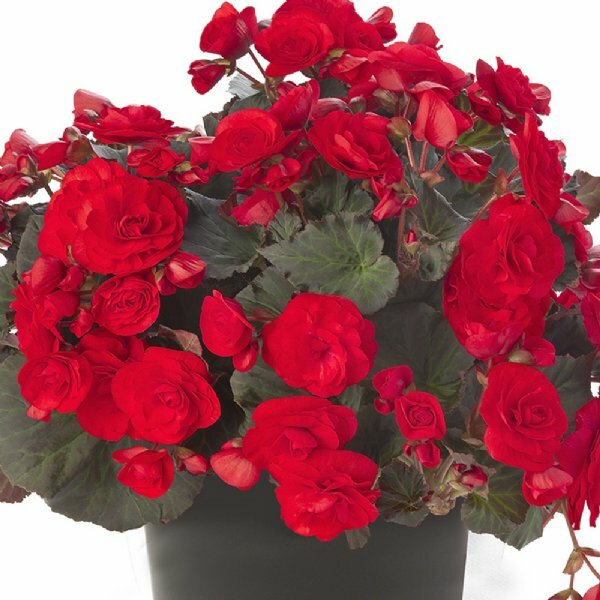 All our 'Solenia Red Improved' Solenia Begonia Plants are grown and shipped in fine quality growing medium. They are guaranteed to arrive alive and ready to plant.